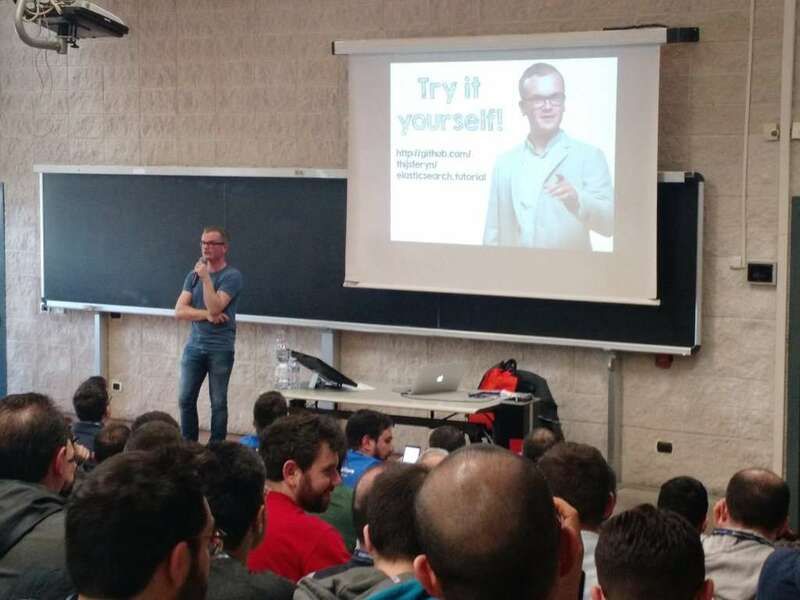 On March 18th 2016 I attended the Codemotion conference in Rome (Italy). I never attended a Codemotion event before and I’ve never been to Rome, so I was stoked about this one. The Codemotion group organizes conferences around the globe, but Rome is considered their flagship event. The crew was great, they took excellent care of me and there was a really good vibe going on at the event. I would definitely advise you to either attend a Codemotion event or submit some talks as a potential speaker. I did a talk called “ElasticSearch In Action”. As the name kind of hints, it’s a talk about ElasticSearch, the increasingly popular search engine, NoSql database and analytics engine. The talk has “In Action” in the title, because I’ve seen far too many presentations where the speaker talks about what ElasticSearch “IS”, rather than what “IT DOES”. Want to see the presentation yourself? Have a look at the Youtube video below. It has both the video and the slides. I have to admit that the slides were chopped off by the editor. Another thing I don’t quite like is the handheld microphone. But then again, there are bigger problems in life. What I did love were the people. Nice crowd, very friendly, would love to attend again. As you can see in the video, the top of the slides were chopped off during the video editing process. Don’t worry, here is the full slide deck from Speaker Deck.